Alaska is so warm this year, the Iditarod Trail Sled Dog Race had to have snow brought in to Anchorage to make the ceremonial opening race happen. The Alaska Railroad is hauling 300 cubic yards of snow from Fairbanks to Anchorage on Thursday for the opening ceremony on Saturday. 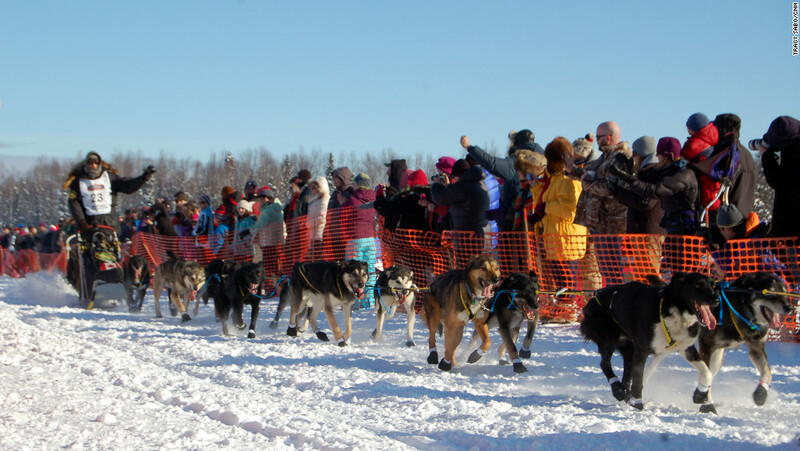 City of Anchorage personnel tried to figure out a way to keep the full 11-mile course, but with the warm weather lingering, it wasn’t possible this year, Stan Hooley, CEO of the Iditarod Trail Committee said in a news release. “A persistent ridge of high pressure over Alaska in January and February has kept snow totals low and temperatures warmer than normal across much of the state,” CNN meteorologist Sean Morris said. Snow fell on just one day in February, making the total snowfall just 1.8 inches for the month. Anchorage had the fourth warmest February on record this year. This season, Anchorage has only picked up 27.6 inches of snow compared to a seasonal average of 60 inches, according to CNN affiliate KTVA. This is the third year in a row that the lack of snow has disrupted the Iditarod. In 2014, low levels of snow on parts of the trail caused injuries to mushers. Last year, the low levels caused the race to move 225 miles north to Fairbanks. Cody Strathe, a musher in the 2016 Iditarod race, told CNN that the lack of snow is not stopping him from participating in the 1,000-mile race. Since moving to Alaska in 2001, he said, winters have changed drastically and training and racing sled dogs has become more difficult. Organizers are expecting 85 teams with more than 1,000 dogs to participate in this year’s race.